Body N Balance - PLEASE CHECK SCHEDULE INQUIRIES TO THE RIGHT OF THIS PAGE Two Locations in LouisvilleThe Center for Integrative Health105 Lyndon Lane,Middletown KY. Wednesday Night:6:30-7:45Resumes in Sept. Yoga at The Lodge Lake ForestMiddletown, KY 40245 6:30-7:45Resumes in Sept. We have moved and this location is closed. Thanks to all of you who came here. I miss my Mt. Washington friends. We have moved and this location is closed. Thanks to all of you who came here. I miss my Mt. Washington friends. quality time with wee ones. 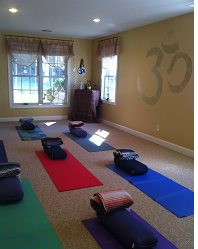 The great thing about The Yoga Spot is: You are encouraged to work at your physical level. You are never expected to be like everybody else. Individual attention can be expected. You are only in competion with yourself. If needed, You can work to the edge of your flexibility using a variety of props. The knowledge that unseen energy flows through all living things and directly affects the quality of health has been part of cultures since ancient times. Reiki is a technique for stress reduction and transfer of energy that also promotes healing and allows everyone to tap into an unlimited supply of "life energy". It has been varified recently by scientific experiments, and medical doctors are considering the role it plays in the function of the immune system.